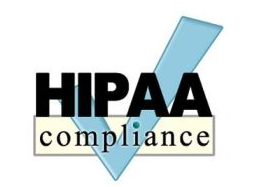 HIPAA Compliance Assistance - Cypress Systems, Inc.
As of September 23, 2013 the Department of Health and Human Services has announced that all covered entities must be in compliance with the new HIPAA regulations. The final HIPAA omnibus rules enhance a patients’ privacy rights and gives the Department of Health and Human Services (HHS) Office for Civil Rights expanded authority to pursue complaints against health plans and health care professionals or their business associates who don’t conform to the law. Cypress Systems, Inc. recognizes our role as an information and network consulting services business associate. In order to comply with the new rules, all of our engineers are certified for HIPAA compliance and required to take continuing education courses as it relates to the Health Insurance Portability and Accountability Act. All certification information is available upon request for established business partners. Cypress Systems, Inc. will work with covered entities in understanding the threats and liabilities to this protected data and implement information technology safeguards and security best practices. If you would like to discuss how Cypress Systems, Inc. can assist in your HIPAA compliance program please contact us. If your business has an upcoming project we would love to talk to you about it. We can work with you to design a solution that fits your organization's specific needs. Just click the button to the right to contact us about your project. We will respond in 24 hours or less.